If you work with Cisco Unified Communications Manager, or want to learn how, this is the training for you. Jeremy Cioara is the master of Cisco VoIP training, and his Cisco 642-446 video series shows you how to become a master of CallManager route plans and Cisco IP phones. Jeremy fills these VoIP videos with live configuration examples; carefully explains CUCM Route Plan, Partitions and Calling Search Spaces; and shows you how to set up your own CUCM lab environment. They also prepare you for the Cisco CCVP 642-446 CIPT1 exam. can any one get this????? plz help me on this……………. did you pass the 642-447 by using actual test? this is da link fo lates testinside questions; dont warry. Is this the latest for CIPT1 v 8.0? I couldn’t find any p4s sure. becos I am not sure. I used only this actual test & old 642-446 actual test. Yes this is the latest one. I shared it fo u all.p4s has 194 questions. This has 215 ques. this is last release version. Dont worry u can win. 642-447 v8 you can download it from 4shred. I did not pass CIPT 1 642-447 I got a 778 and needed above 790. This is the 9th Cisco exam I have taken but the first one I have yet to pass on my first attempt. Similar experience to when I took the CVOICE exam 642-437. I knew the material, and verified the Q&A against the student guides but the highest I could get was 815. I had someone else took it one week later who is studying with me who also had the same Q&A matching the test and highest he could get was 825. So word to the wise you cannot miss any points on these exams. Even if you have all of the material no one is getting in the 900s which means that there is very little margin for error. 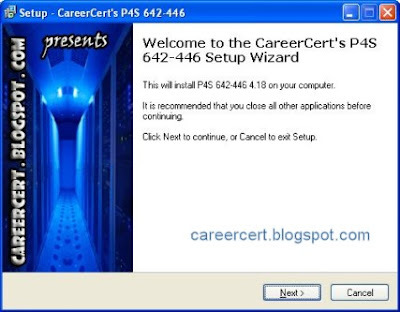 i found Careercert.info ws and careercert.info there is not one by jd31 any hints on how to find u? It probably means you’re not drilling yourself enough fro the exams, all my exams i got 965 as the minimum because i hate the prospect of failing an exam, drill yourself more. 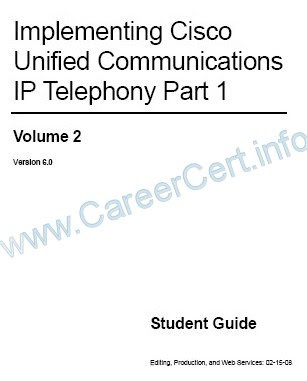 CCNP Voice 8.0 Student Guides CIPT-1 and CIPT-2 vol. 1 and vol. 2 not .rar .pdf format are available once you go to facebook and respond to the post that I made on the careercert facebook page. i think its just to get people to sing upto the page i dont think its real or else he wouldnt have posted it in every forum about it and not giving any more details on how to find him. got passed yesterday in pakistan.. The CBT nuggets are broken.. i am getting an error file not found…. after 3 file downloads… please help..
also can you suggest if the uploaded P4S dumps are still valid….?? Hi, is the VCE 169 still valid as I plan to take my exam next week, also is this enough to pass the exam. CBTN.CCVP.CIPT1.642-446.part10.rar from the 4shared list is not valid. can you please check it. HI ALL, passed CIPT1, elnus 169 is still 100% valid…go for ‘cipt1 in 15minutes’ if u can find the bundle…it has additional 14/15 q’s which will help. What is elnus 169, Could you please share me the link to get the latest dumps ? ANYBODY who has taken latest CIPT1- on or after 4 dec…it seems dumps are not valid anymore…. Do you mean the latest 132 Q AT dumps are not valid and how many new question appeared on the exam? can u please give link for new 132 AT dumps….also, it seems it was a false alarm…ELNUS 169 is valid , but with changes…wht changes not sure….i m going to take my test 2moro..will update here…can u please give link to AT 132 q’s. Hi Guru.. what is this elnus 169?? can you clarify?? 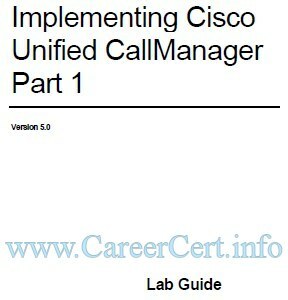 i want to study cisco call manager, so kindly share docs and cbt’s for the same….its very urgent…….!!! OR i do only pass4sure and actual test dumes. 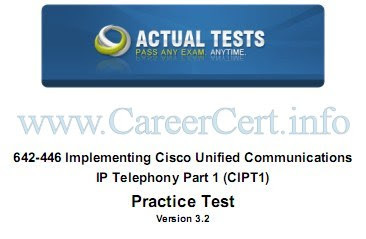 Today i passed the cipt1 with the score of 918. 6 new questions appeared apart from vce-169 dump.. I used VCE 169 Qs ,cbt videos and official ebook. what is VCE-169 can you share the dumps…..
Search this file in rapidshare… (Cisco.CertifyMe.642-446.v2010-07-31.by.Elnus.169q.vce). I have uploaded thr. can you give the exact idea how to install visual.cert .exam manager because i download and instlled the visual.cert .exam manager but its unregistered version bcoz of that i cant read it all 169 question. so if u have any ideas to how to registered the visual.cert .exam manager or can i just read pass4sure and actual test dumes, is it ok.
sweet! i made my cipt1 today with 953 score. can you please inform about the material & practice tests u used..also, did u get any simulations. hey can you share which dumes you prefer for this. Plz share your exam experience. I am also planning to appear in couple of days. i am planning to give the CIPT- 1paper on coming sunday ,can anybody tell me that upper uploaded dumps are valid….or tell me the link where i get the latest one…. anyone of you just passed the CIPT1 recently ? i m going to take this exam on this coming friday , Is the Pass4sure version 4.18 helped ? I have already given, 642-642 Qos, I wish to complete CCNP-Voice / CCVP track by giving the 4 other exams. Can i give the 4 other exams of v8.0 ? If yes, are videos and dumps available for the latest exams !? 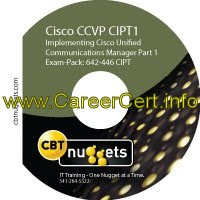 hello, i want to enroll for cipt1 on 7/11/10 as my first exam in the ccvp track. 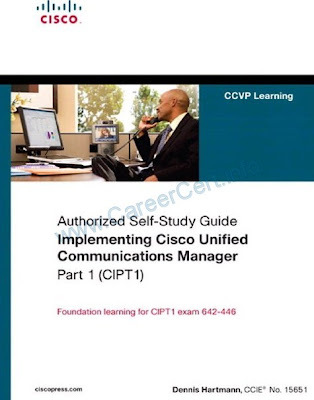 base on the changes from ccvp to ccnp voice, i can’t complete the exams before feb,28. 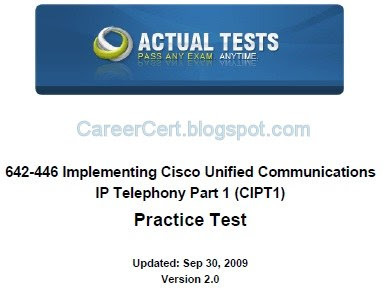 is there possibility for me to combine cipt1 with the new ccnp voice exams to obtain ccnp voice certificate? please, i need urgent response! On march CCVP exams will change. Have you any updated materials about CIPT 1&2 v8.0? The link has been Fixed ! That’s a good point. Cisco has made a very early decision this time. Can u plz upload *** CCVP CoD ?? thank you careercert for all the help and advise on this blog, I have passed my CIPT1 on 30 sep with 895/1000, AT V3.2 with 104 questions is still valid, and some more questions appeared. Hi guys, great stuff here. CIPT1. does anyone has it? Where are the videos 20-24 for CBT Nuggets? Correct…You have to be resourceful for any certifications you might want.. How can you become certified if you keep relying to other people…Use Google if you really don't know what to do..anyways, thank you so much for sharing a lot of stuff here…Goodluck to all of us. You people cannot even correctly extract and mount a iso image, how do you expect to be CCVP? this file is 1 to 1 and i passed on 1000! "hi can you help me to find CUCM 7 or 8. I want to install on my vmware"
hi can you help me to find CUCM 7 or 8. I want to install on my vmware? Hi, i downloaded the videos of the CIPT1 but it requires a password, how can i get it? 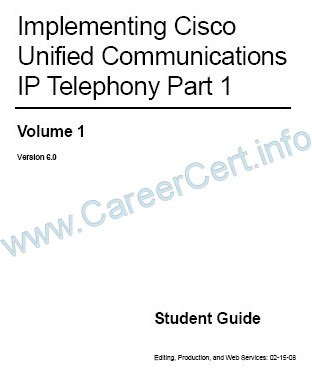 hi, I cannot download cisco cipt1 642-446 self study guide . 3. Or mount using Daemon Tools. i downloaded the CIPT files and i extract them by WinRar. But i face one problem. I can't open the file because its ISO file . Yes, it is a .iso image file. Hi! Thanks for the links! I have extracted the file but its a .bin file. Can you please tell me what program opens it? Is it an .iso image file? I know i night be a silly Q 4 u but please help. CBT links has been added.